1. This application must be user-friendly and easy to use. 2. Customer can check the timings of flights which travel between two places on a specified date and their availability through online at anytime and anywhere, by using this application. 3. A customer should get a chance of take a trip of continuous travel in which flights are changed frequently by using this web application. 4. 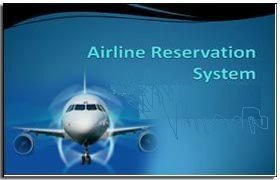 The basic concepts of airline ticket reservation should be maintained by this web application. 5. When a specific flight gets delayed due to technical problems this application should send mobile alerts to the travelers, which helps the travelers in reservation of tickets. When the flight is delayed this system will send mobile alerts to travelers. The flight details will be encrypted using SHA1 algorithm. In registration of new customers, Recaptcha technique is Implemented.